Keep informed about new products by signing up to our newsletter! Our regular newsletter will keep you up-to-date with product developments and innovations in the industry. 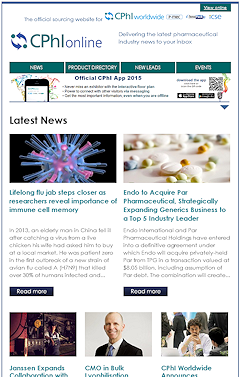 We deliver headline news from pharma suppliers, including product launches and case studies, all sent straight to your inbox. Note: You can unsubscribe from the newsletter at any time.